Disney World is no fun when you’re hot, tired and hangry. Knowing where to take a break in the Magic Kingdom is priceless information for touring families. 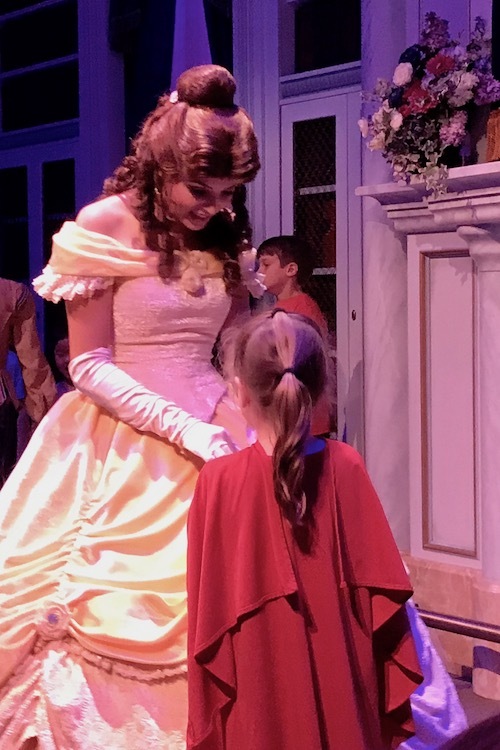 Optimism TravelingMom shares her favorite places to chill out and recharge, plus she shares an insider tip about how your preschooler can dance with a princess! I made the mistake of checking the weather forecast the night before my Magic Kingdom adventure. Sure. It gets hot in Orlando. But 97 degrees? I expected to melt away by midday. My anticipated level of misery rose after flashing my MagicBand at the park entrance and plunging into the sea of families swimming up Main Street U.S.A.. I have my list of favorite attractions in the Magic Kingdom and my intention was to hit each one, no matter the weather. Then I had an idea. No lightbulb flashed overhead; although, at Disney World, stranger things have probably happened. What if I alternated my favorite rides with ones where I could sit, chill and recharge? And so I did. In the process, I discovered some of the best places to take a break in the Magic Kingdom. Settling onto the bench seat in my pontoon boat, I looked around and saw a sleeping baby nesting in a Britax baby sling. I was jealous. The day had reached peak heat and crowd levels and I felt like I was melting. But, once our ride on Amazon Annie got underway, I took a deep breath of nature’s air conditioning and began to unwind. 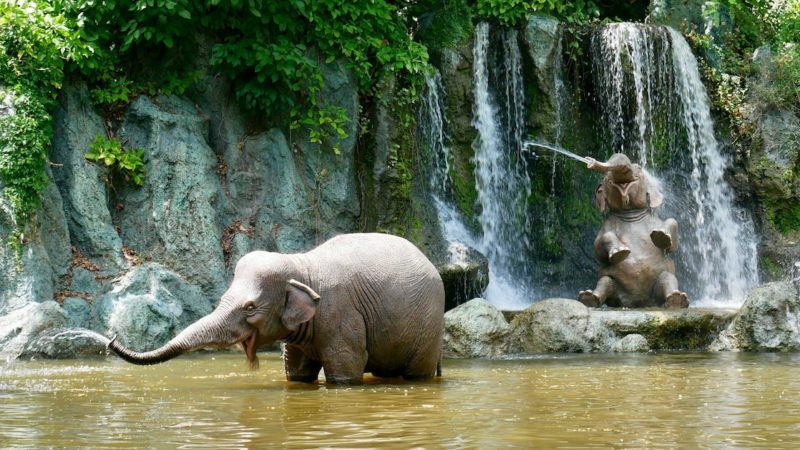 Jungle Cruise is located in Adventureland. I hopped on after hitting Splash Mountain and Pirates of the Caribbean. We set sail on our cruise through the exotic rivers of the world and the kids onboard and I enjoyed the captain’s corny jokes. The other grownups ignored the commentary, choosing instead to nap or snap pictures of the elephants, crocodiles and hippos. Much of the fun at Disney World, for me, involves playing along with the cast members, so I’m always surprised when other adults don’t take the time to groan at the bad puns. By the time we docked, my feet had stopped screaming and I was ready for my next stop. 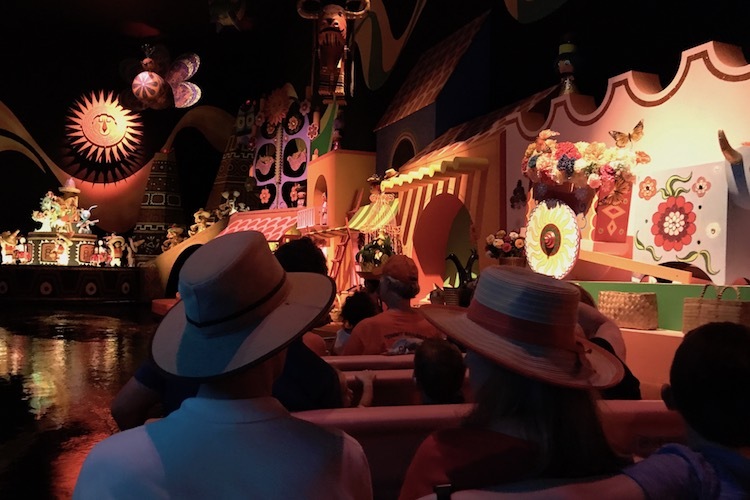 The ultimate place to unwind is It’s a Small World. It’s one of my favorite rides and a great place to pause after surviving the crush of young families hitting Fantasyland’s popular Dumbo and Mad Tea Cups. I love the cavernous galleries filled with charming animatronic figures and I find the repetitive song loop soothing. Our ride stopped in the glacial white chamber near the end of the ride for a solid 20 repetitions and I expected to get irritated. 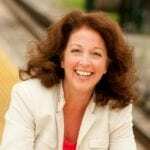 But as I watched the hot air balloon rise and fall, my breathing fell into a sympathetic pattern and I experienced the same positive effects I do during my morning meditation. Upon bidding It’s a Small World au revoir, aloha and shalom, I was reinvigorated. There’s a ton of action in Tomorrowland. After zipping around the Speedway and nearly dislocating my spine riding Space Mountain, a rest was in order. During previous visits with my kids, I estimate I’ve passed the Carousel of Progress at least 50 times, but had never actually gone inside. It’s a circular theater where guests listen to an introduction about the attraction. According to the narration, it was one of Walt’s favorites, debuting at the World’s Fair in New York in 1964 and running continuously in the Magic Kingdom since the park’s opening in 1975. Guests journey (while seated – hurray!) through family scenes from the 1900s to the 1920s to the 1940s and the present. The animatronic father highlights the popular technology of the time. For example, the turn of the century ice box presented at the beginning of the ride is contrasted with a voice-activated oven at the end. What would a Disney attraction be without a sing-a-long? Carousel of Progress visitors are invited to join in on “It’s a Great, Big, Beautiful Tomorrow” and I was singing along by the end of the rotation, relieved that I’d stopped sweating. Carousel of Progress is a hokey, dated attraction but I loved every minute of it. Fantasyland mandates two rest stops. I think it’s the most congested part of the Magic Kingdom and the place where I really need to have my mojo renewed. Fortunately, tucked away near the entrance to the Be Our Guest restaurant, is an oasis of wonder called Enchanted Tales with Belle. This interactive attraction is the perfect antidote if you’re starting to get a little crabby. Visitors are welcomed to the home Belle shares with her father. 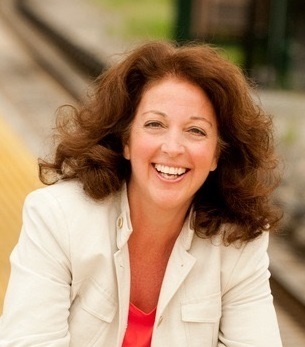 Friendly hosts greet everyone and make a particular fuss over preschoolers, who are given priority, up-front seats. I won’t drop any spoilers, but guests are asked to volunteer to play several parts in a play including the roles of Chip and Mrs. Potts. There’s some practice and then the play is performed for Belle in the library. A photo opp is included too. When beautiful Belle enters the room, there was a collective “Awww.” It was the pick me up I needed to continue my day at the Magic Kingdom. TMOM Insider Tip: The lucky child picked to play the Beast gets to dance with Belle. If your preschooler is outgoing, this might be the perfect opportunity for him or her to volunteer! Besides the intense heat, the number one cause of a Disney World meltdown is an empty stomach. Fortunately, there are almost as many places to eat in the Magic Kingdom as there are Mickey ears! I enjoy the buffet at the Crystal Palace. However, it’s a character meet and greet, so it’s pricey. If you’re looking for a quick service, budget-friendly option, head to Cosmic Ray’s Starlight Cafe in Tomorrowland. Preschoolers love the entertainment provided by Sonny Eclipse, the restaurant’s animatronic lounge singer. There are 3 slightly different menu options available in each of the ordering “bays” and you can’t beat the view of Cinderella Castle from the tables in the back of the restaurant. Why would I ride the Monorail if I’m not staying at the Contemporary resort? Because it’s fun! I pressed my way through the surging crowd gathered for the afternoon Main Street parade. 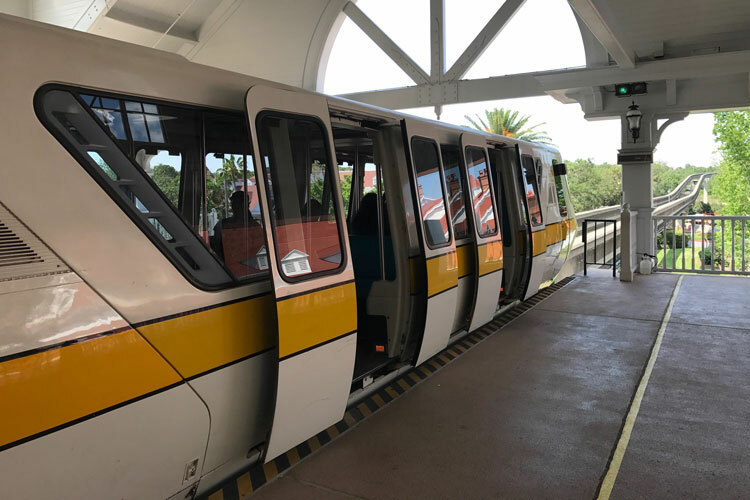 I needed to transition from park to relax mode, so instead of hopping on a bus crowded with sweating families with strollers to return to my hotel, I chose to ride the monorail, located to the right as you exit the Magic Kingdom. There are two monorail loops. I got on the one that goes around Seven Seas Lagoon, which stops at the Contemporary, Polynesian and Grand Floridian, before returning to the Magic Kingdom. It was cool to see a section of Walt Disney World for the first time, while cruising in air conditioned comfort. I exited at the Grand Floridian so I could check out the beautiful atrium lobby. Getting back to my hotel was easy. I placed a call to Uber and $7.84 and 15 minutes later, I was back at the Beach Club and ready for Round 2. 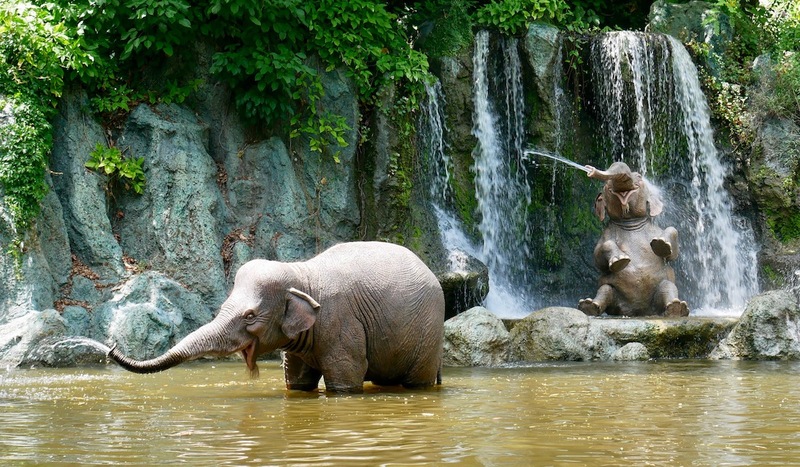 Don’t be ashamed or embarrassed to yell “I need a BREAK!” when visiting the Magic Kingdom. 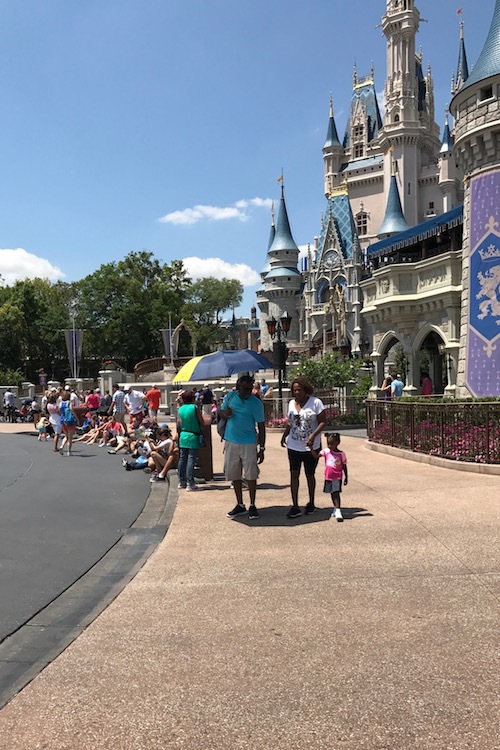 It’s quite normal and, whether you’re in the heart of the park or way out in Fantasyland, there’s a place nearby where you can sit, breath and gather your energy before facing the Florida heat and humidity. Where’s your favorite spot to take a break in the Magic Kingdom? Why? Clever idea—combo of Disney transportation (monorail) and Uber, for convenience and experiences. Suggesting meditation is possible in Magic Kingdom?! Now that’s an off the charts concept, but I believe you.